It's Aug. 11, and Yuriko Nebatani is dragging a large suitcase and a camera around Seoul, threading her way through the little streets and making notes. The 28-year-old "power blogger" (ameblo.jp/yurico-chan) specializes in discovering hidden gems such as restaurants and stores and clocks an average of 2,000 hits a day on weekdays and 3,000 at weekends. This time she is in Seoul at the invitation of the Seoul Metropolitan Government as part of its 2010 Visit Korea campaign. The city government plans to invite a total of 46 journalists, bloggers and design and tourism students from around the world until October to promote the capital. Nebatani's theme for the latest trip is shopping and nightlife for young people. "Japanese are curious about what Koreans in their 20s eat, and what they do to have fun," she says. "Most people who come to Korea for the first time head out to famous attractions like Dongdaemun, Insa-dong and Myeong-dong, but I want to let Japanese people know that there is so much to discover in the little streets of Seoul." In her notepad, there are detailed accounts of restaurants and galleries. What she jots down in her notepad will go into her blog. Nebatani's love for Korea started two years ago with Korean stars and TV soap operas. 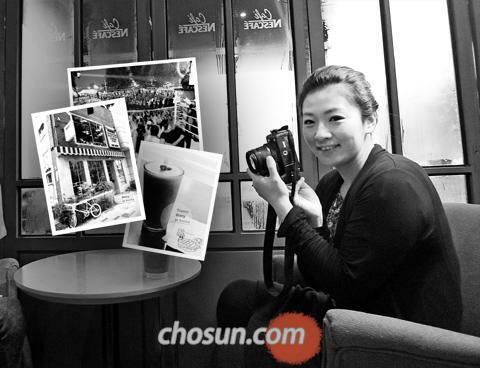 She took a Korean language course at Yonsei University in the summer of 2008 and has visited 15 times since then. "When I was in elementary school, I saw a signboard that read 'Korea, the closest country to Japan' at Toyama Station, and that made me want to go there. I became a fan by watching TV soaps such as 'Full House' and 'My Name is Kim Sam-soon' and listening to Korean singers," Nebatani recalls. "I'm studying Korean to do something to contribute to exchanges between Korea and Japan. Although I'm introducing Korean culture to Japan right now, eventually, I'd like to blog about my daily life in Toyama in Japan so that I can work both ways, introducing both countries to each other."